With the iOS 5.1 update, an iPhone 4S attached to a HSPA+ network will display a little “4G” after the network provider name (in this case, AT&T). Before, it displayed “3G” instead. 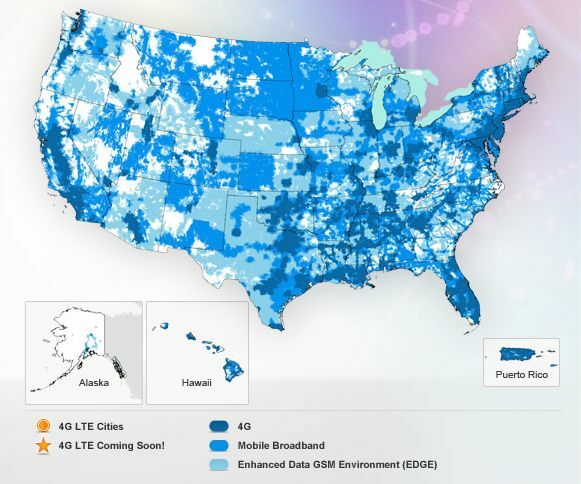 No carrier has a 4G network … not one in the USA at least … by the definition of 4G. They are ALL marketing terms. There is stuff coming down the pipeline, but no one has launched a true 4G network. 4G is AT&T’s marketing term for their HSPA+ network while 4G LTE is their marketing term for their LTE network. Apple is making the distinction in its own software between 4G and 4G LTE on the iPad (which is their only device that supports 4G LTE). I think sometimes that people think Apple somehow can just walk into any board room and demand that a company do what it wants. AT&T is using 4G to define its HSPA+ network and that spills over into their coverage maps as well. If anything, using the marketing terms that AT&T has defined for their own network allows people to make a better-informed decision because they will know how their phone will perform in certain areas as defined by AT&T. Yes, this is 3G technology and it would be better if Apple could just stick with labeling it as 3G and be done with it, but they are tied by what the carriers do and this time they needed to change the labeling to, perhaps, better server their customers. The only people who really care about the change are those looking for something to complain about. 4G is 100 Mbit down in mobile situations (while moving in a train or car) and 1 Gbit down to a stationary target (personal walking or in home). Nothing provides that right now. LTE Advance (I think that is the name) is under consideration to be certified, but right now the “4G” name is just that … a name for pre-4G technologies.